Verdala International School purchased our Britannica Schools and Science Pathways products for use at their institution. Here, Veronica Calleja, Librarian at the school discusses how we’ve helped to improve their learning resources. We were primarily looking for a quality reference material to use here at the school. We did not have any online subscriptions until we took Britannica, and we were in need of something that would cater for the research needs of K-12 students. Britannica School ticked that boxed perfectly. Our students were frequently ‘lost’ and didn’t know where to start when it came to research. General online searches yielded too many results – some potentially misleading and others of an inappropriate level of detail for their age group. There was a lot of time wasted on sifting through unreliable information and generally being, ‘all over the place.’ Now our students benefit from knowing where and how to start and it all takes off from there. 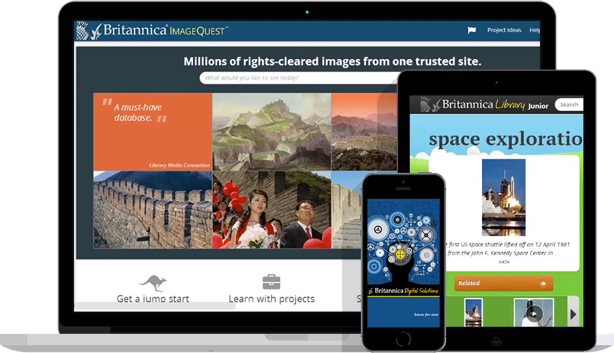 When we were looking for a new resource, Britannica really stood out to us. The quality of all of the content is high and as an online resource it’s easy to use and access, we were also very happy with the overall price. Our school is really benefiting from a reliable, safe online source that contains good quality information. The students love the display and activities, while teachers find the option to create their lesson plans and share material with their classes invaluable. The support material available, and staff training is a great way to help new teachers familiarize themselves, and the mini-sites are very well presented and very topical which means they suit students’ needs. Overall we’ve received a very efficient service, and it’s been a very sound investment that the faculty are pleased to have. "Students love the display and activities, while teachers find the option to create their lesson plans and share material with their classes invaluable." "The quality of all of the content is high and as an online resource it’s easy to use and access." "Overall we’ve received a very efficient service, and it’s been a very sound investment."